JSU alumnae Karmyn Norwood establishes $50,000 endowment for STEM students. (Jackson, Miss.) 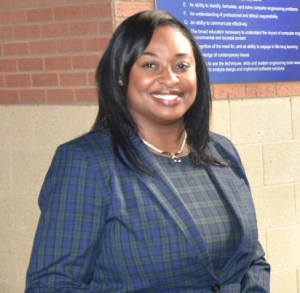 JSU alumna Karmyn Norwood is investing $50,000 over the next five years towards a personal endowment to benefit students in the area of Science, Technology, Engineering and Mathematics (STEM). Her passion for giving began with a $2,000 scholarship from the Beta Delta Omega Chapter of Alpha Kappa Alpha Sorority, Inc. while matriculating as an undergraduate at Jackson State. She is the site vice president for the Air Mobility and Maritime Missions (AMMM) Line of Business (LOB) for Lockheed Martin Corporation. In this capacity, she is responsible for the Marietta site operations enabling program execution of multi-billion dollar platforms. Norwood’s 20-year career, including time with the U.S. government has assisted her commitment to being an activist for diversity in the corporate America environment.